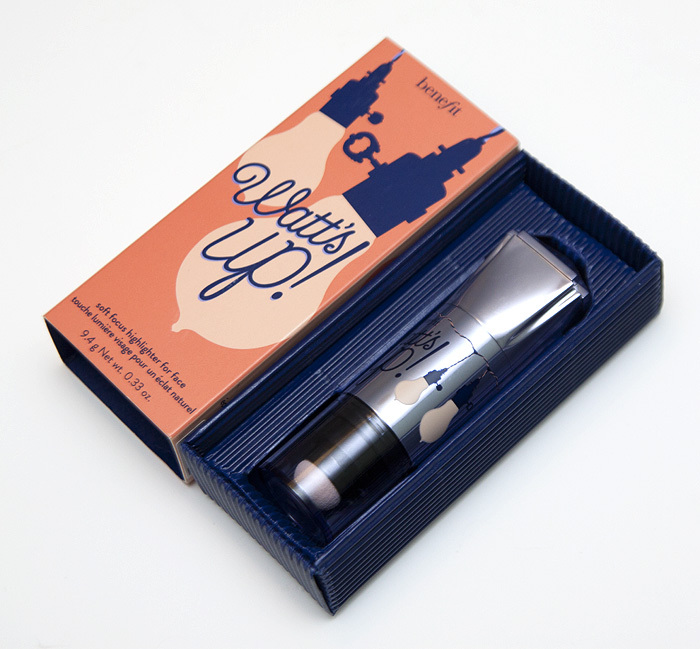 Last month saw the launch of a new highlighter from Benefit, a brand that have enjoyed great success in the past with their highlighting products that mimic how light and shadow play across the face. 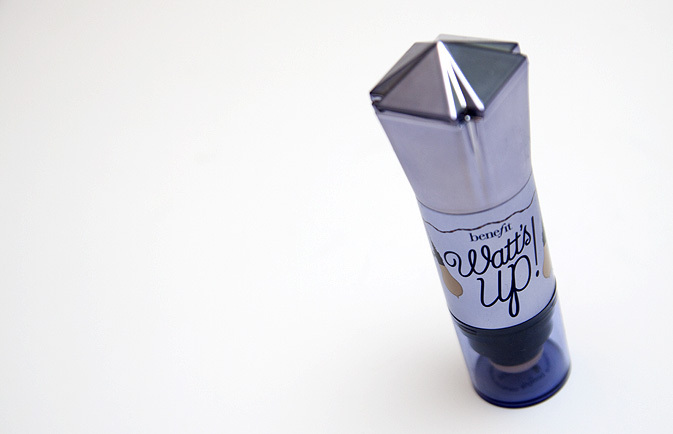 Unlike liquid products like the brand’s previous highlighting options: Highbeam and Moonbeam, Watt’s Up! 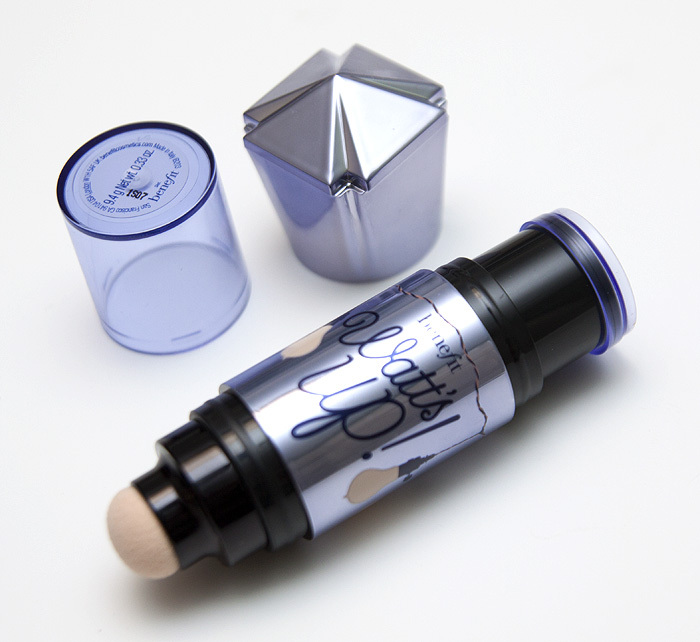 is a twist-up cream highlighting stick in the style of a NARS Multiple. 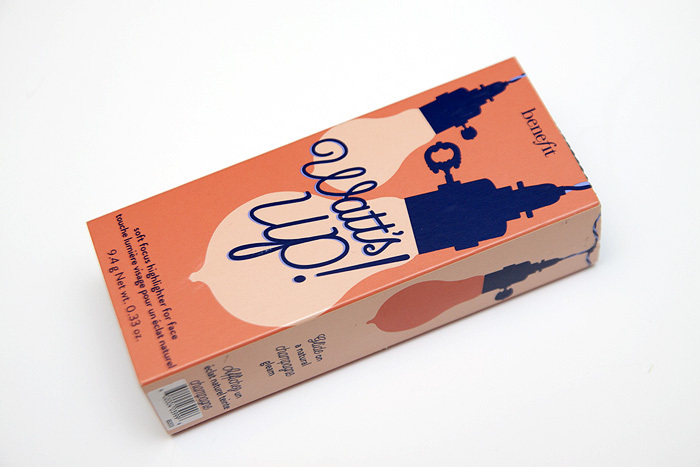 Packaged to be reminiscent of a light bulb, it’s cute, kitsch and all the things you’d expect from a brand like Benefit. 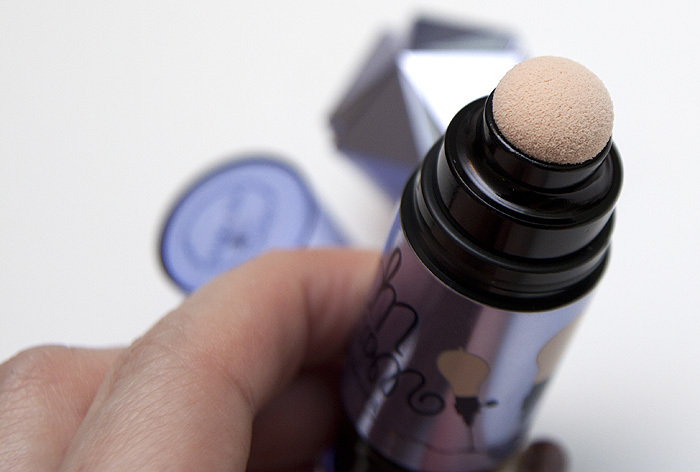 One end houses the product… the other, a sponge designed for blending. Something, which in my opinion is a bit of a waste of time. I find that the sponge does more to rub the product off than it does to blend it. You’ll be fine just using your fingertips to get a smooth application though I do appreciate it’s existence as it could well come in handy in my makeup bag put to some other use! 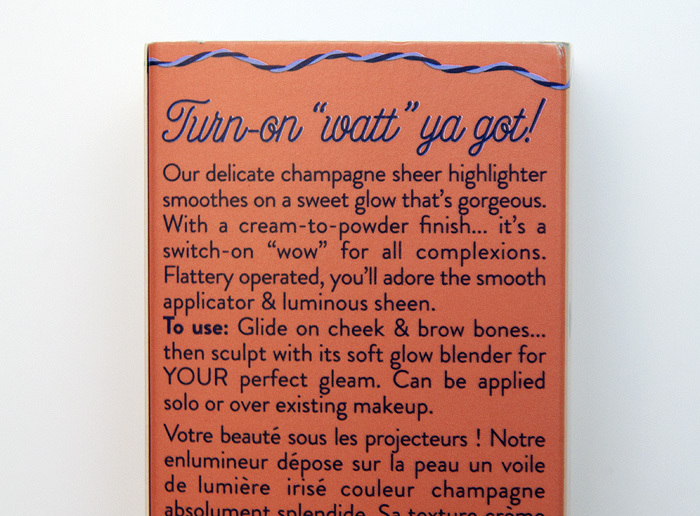 On initial application, the product gives quite a warm champagne glow with a lot of reflection but once blended, it softens to a more natural, neutral hue that will flatter most skintones. The cream has a lovely amount of slip and glides over my skin which ensures that it’s foundation friendly and blends seamlessly with whatever base I’ve already applied. 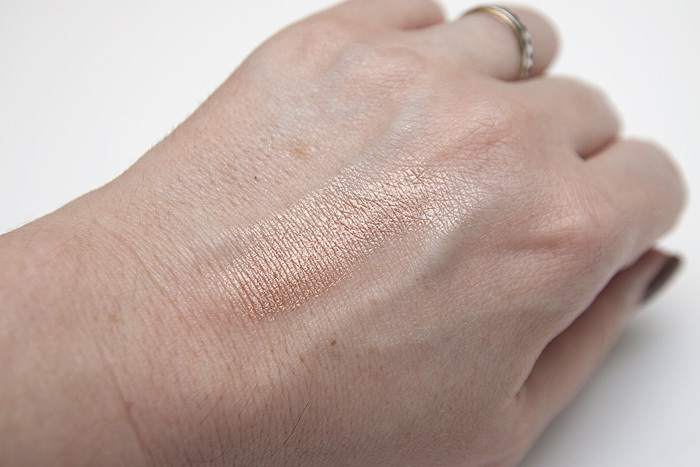 Once applied, it sets quite quickly to a powder finish and didn’t slide around on my normal/dry skin or slip during the day, oilier skins may struggle with this depending on how you usually fare with cream-to-powder formulas. Once blended (the above photo shows unblended), I find the overall effect fairly subtle compared to some of the more pearlescent products that I’ve used in the past and I would happily wear this during both the day and for going out. At £24.50, I think it’s quite pricey for what it is but I can’t actually find too much fault with the product – I would just like to see it about £6 cheaper. Benefit Watt’s Up! 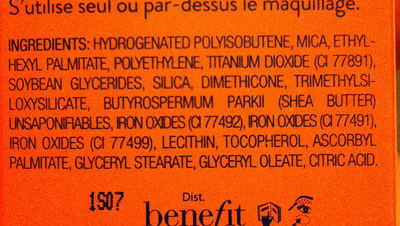 is available to buy online or on counter from Benefit Cosmetics. I really want to try this, but there’s no way I would pay £24.50 for it! It’s pretty but not worth the price tag, and I hate feeling like I’m paying for the useless additions to packaging! Do you happen to have an ingredient list for this? I’m allergic to an ingredient in Highbeam and Girl Meets Pearl, but I’ve always wanted to try one of their highlighters. 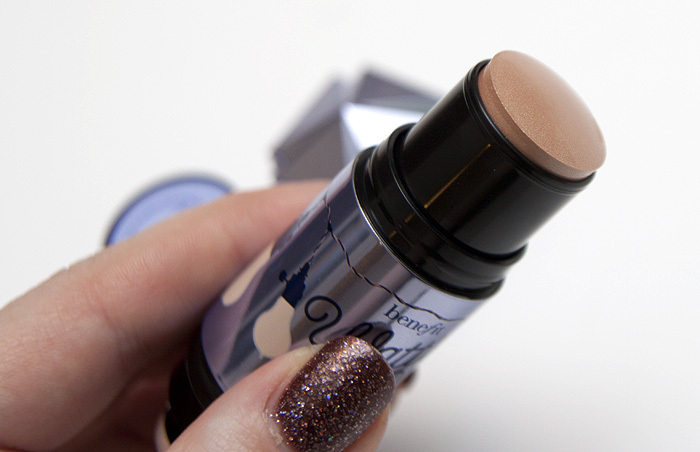 Even though this looks gorgeous, I’m very cross with them for discontinuing Moon Beam. And what is your nail polish? So pretty! It has made my Christmas list! I’m really excited to try it. I haven’t been able to use the other highlighters from Benefit, but I’ve heard wonderful things :). Great review! I do like the pretty glow it gives, although I have other highlighters which are similar and use Nars Luxor multiple a lot for my highlighting needs. This is a little pricy, but I find that to be the case with many Benefit products. I also second Robyns request about your nail polish! Its gorgeous. While at the Benefit counter in Myer, the sales assistant applied this on me and it looked really nice. What wasn’t really nice was the price…$55 or converted around 35 pounds. It’s ridiculous how much Benefit costs here in Australia, that’s why I buy mine from their US website, even with shipping it’s cheaper. I cant wait to try this product, just wish it wasnt so pricey.